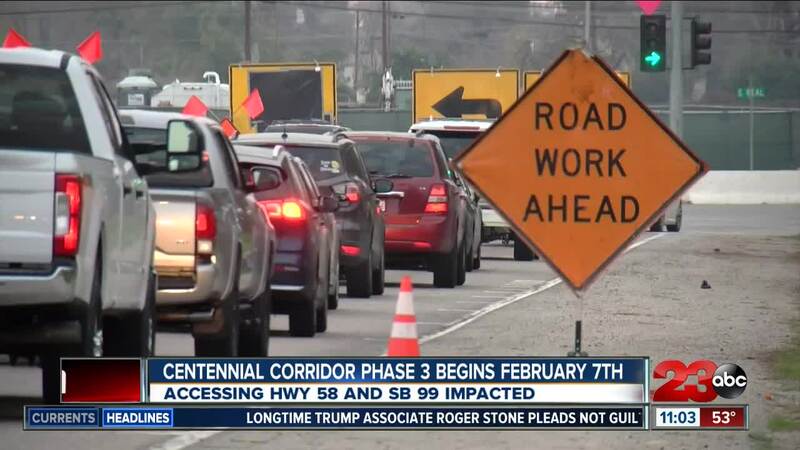 BAKERSFIELD, Calif. — Real Road access to and from State Route 58 and to southbound State Route 99 in Southwest Bakersfield will permanently close due to Phase 3 of the construction of the Centennial Corridor. Phase 3 will reconstruct the westbound-to-southbound loop ramp at the State Route 58/State Route 99 Interchange, build an auxiliary lane on westbound State Route 58, widen the bridge across State Route 99, and construct a barrier-separated off-ramp connector from southbound State Route 99 to Ming Avenue. Motorists traveling eastbound will need to take Stockdale Highway/Brundage Lane to the H Street interchange in order to access State Route 58. Motorists traveling eastbound will need to take the Chester Avenue exit in order to get off State Route 58. Motorists traveling southbound will be able to access State Route 99 at either California Avenue or Ming Avenue. The Real Road freeway ramps are set to close on Thursday, February 7 during nighttime hours. Real Road will remain open to both northbound and southbound traffic.